The MNOs first thoughts are HCE might have been negative, but they need to rethink. It’s a great opportunity for them if they decide to take it. 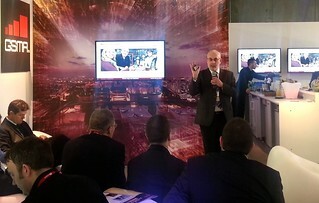 The GSMA were kind enough to ask me to give one of the breakfast briefings at the Mobile World Congress in Barcelona this year, so I gave a briefing on HCE. I thought this rather a brave choice, because the MNO’s first reaction to HCE was one of horror, but I decided that as it’s a really hot topic it would be great to tackle it head on and look for ways for MNOs to find new opportunities. I was trying to encourage operators to see HCE (and to some extent BLE, which I spoke about in the Digital Commerce conference session in the afternoon) as opportunities and not threat. So I used my time to explore three points building on our framework for the five key wallet technologies for 2014 that went into in more detail in that afternoon session..
First, the mobile wallet is being energised by a set of new technologies including proximity and vicinity Interfaces, identification and authentication and APIs. These interfaces enhance the user experience when using the mobile wallet, by providing new ways to link to the local environment. For example, a consumer can walk in to a store, the wallet will recognise the store using its vicinity (e.g., BLE) interfaces and up will pop in store information. The wallet will help the user navigate round the store, allowing them to tap on offers and initiate transactions using proximity (e.g., NFC) interfaces. Secondly, when it comes to proximity interfaces, HCE is a wallet accelerator that supports business flows that are complementary to the MNO Secure Element (SE). It will accelerate the development of NFC services which will expand the number of services available to the consumer (eg, Small Data) and service providers (eg, Tokenisation), educate the consumer as to NFC’s potential and eventually bring innovative applications to customer’s handsets. Finally, the core elements in the MNO SE proposition for payment, ticketing and other applications in wallets (including HCE) are the secure services that MNOs are perfectly positioned to provide through common APIs using industry-standard frameworks, supporting not only payment services but also identity. The MNO UICC provides an SE managed on the customers’ behalf, ideally suited to provide secure services to these applications. Service Provides and MNOs can also use the UICC for storage or supplementary services such as Customer Recognition, thereby enhancing the user experience. In the discussion that followed there were some comments about the extent to which these building blocks are already in place. I tended to the optimistic: I think the operators have many of these blocks already, the GSMA are co-ordinating them through their digital commerce initiatives and there seem to be commercial imperatives for moving forward. This week has in fact already seen a key announcement in just this space. The Mobile Connect service will simplify consumers’ lives, offering a single, trusted, mobile phone number-based authentication solution that fully respects their online privacy. Look, we all understand that HCE bypasses the SE. But that’s a good thing: it simplifies and enables to deployment of transactional applications through mobile phones. That does not mean that the operators are totally bypassed if they get their acts together. The operators had, in retrospect unwisely, decided to found their NFC framework on the SE. HCE doesn’t mean the SE is toast: it means that operators should use the SE for something that banks and other services providers want to use, and identity may well be it. The afternoon session that I spoke at was in the Digital Commerce stream. 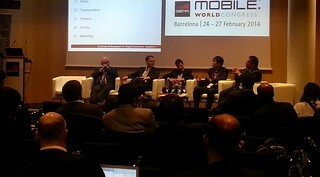 I presented on the five technologies that will change the wallet in 2014 and then took part in an interesting panel discussion with my fellow presenters from Weve, Telecom Italia, BCC Card (Korea), Etisalat and SITA to discuss different aspects of the mobile’s role in digital commerce. At the end of the day, I feel that overall my prejudices were reinforced. I’m not sure if MNOs should be providing wallets, but there seems to be an opportunity for them to provide wallet infrastructure for other people to use to build wallets. The sky hasn’t fallen in – there is a role for the SE if the telcos decide to make strategic choices around infrastructure and focus on interoperable identification and authentication. Hi Dave, thank you for pointing out the opportunities for MNOs with HCE. I believe competition will motivate the players in the ecosystem to create more and better services for the benefit of the consumers. Hope we meet some time and can exchange on this in more detail. Dave, many thanks for these comments. I’m glad that you felt it was worth presenting and that you enjoyed the experience. The GSMA’s Digital Commerce Programme team are committed to both helping the ecosystem grow and in our members to bring new and exciting products to their customers, both SE and HCE based. I’m looking forward to an exciting year ahead. I don’t agree that the MNO’s should be using the SE however they are well positioned to strengthen authentication with service providers using HCE to deliver services. This is something they can do today with a regular SIM and without any need to use a TSM. They could set up some sort of SSO service API for example and offer that service to the market.